An overbite occurs when the upper row of teeth overlaps the lower row of teeth in a significant way. A slight overbite is healthy, but a major overbite can be the cause of major dental wellness issues. Generally, an overbite should be corrected if the upper teeth cover more than one-third of the lower teeth. Dr. Michael Bixby has helped numerous patients with overbites at his Red Bank, NJ center for advanced dentistry. Some patients get braces, others get Invisalign® (a popular form of invisible orthodontics for teens and adults), and others require advanced procedures. Let’s consider the nature of overbites and what treatments may be right for you. Some people mistake an overbite for an overjet. Overjets refer to cases in which the upper teeth project out in front of the lower teeth significantly. A slight overjet is also considered healthy, but a major overate can lead to a person having buckteeth and other issues. An overbite can cause aesthetic issues and general health issues. An overbite often makes a person’s smile appear poorly aligned, particularly since the lower teeth are covered up too much and not visible. This can lead to self-consciousness, and can impact your career if your job involves lots of public interaction. An overbite can also cause your bite to feel uncomfortable and misaligned. This can result in soreness when eating certain foods, teeth grinding (bruxism), and a TMJ disorder that causes jaw joint issues. Traditional orthodontic care using braces is the most common treatment option for an overbite. The brackets and wires apply carefully calculated force to shift the position of your teeth. If needed, a palatal expander can be used. This appliance helps widen the palate, which can alter overall dental alignment and help reduce the severity of an overbite. The ideal combination of orthodontic procedures can be determined during the consultation process. 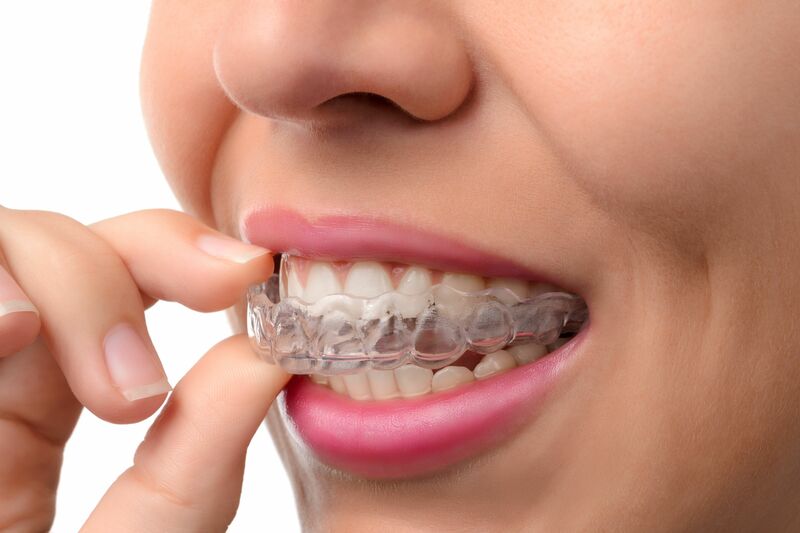 Invisalign® is an alternative to traditional orthodontics that uses clear plastic aligner trays rather than the brackets and wires of braces treatment. Patients wear their trays at all times except when eating, drinking, or cleaning their teeth. A new aligner is worn every two weeks to gradually improve tooth alignment. Since the Invisalign® aligners are clear, they are hard to notice, even when people are up close. They are easy to take off and put back in, which means you can eat your favorite foods as well. Sometimes issues with an overbite are too severe for traditional orthodontic options. This is when more invasive dental treatments may be recommended. This includes oral surgery and/or tooth extraction supplemented by orthodontic treatments. These advanced procedures vary in complexity, and are tailored to the needs of the patient. If braces and Invisalign® are not ideal for your needs, we will be more than happy to discuss these procedures with you in greater detail. For more information about treatments for straightening your teeth and improving your dental wellness, be sure to contact an experienced cosmetic and restorative dentist. The team at the Michael Bixby Center for Advanced Dentistry is here to help. You can reach our office by phone at (732) 224-1160.